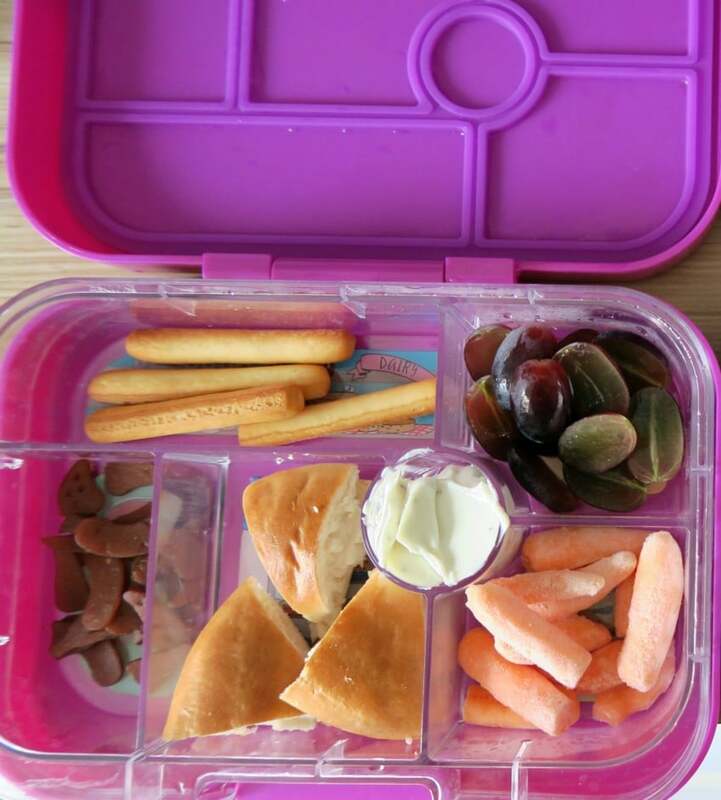 I was invited by Flora to chat about my kids lunch boxes, and what I put in them, and how I come up with ideas on what to put in them. Up until this year my twin girls have been having school dinners, so I haven’t had to think about their lunch at all. They liked pretty much everything on the school menu each day, so just ate them all week. When they moved up to the junior school, the free school meals for infant schools stopped, so they have started to have packed lunches. I wanted to come up with different lunches for them and to keep them varied. 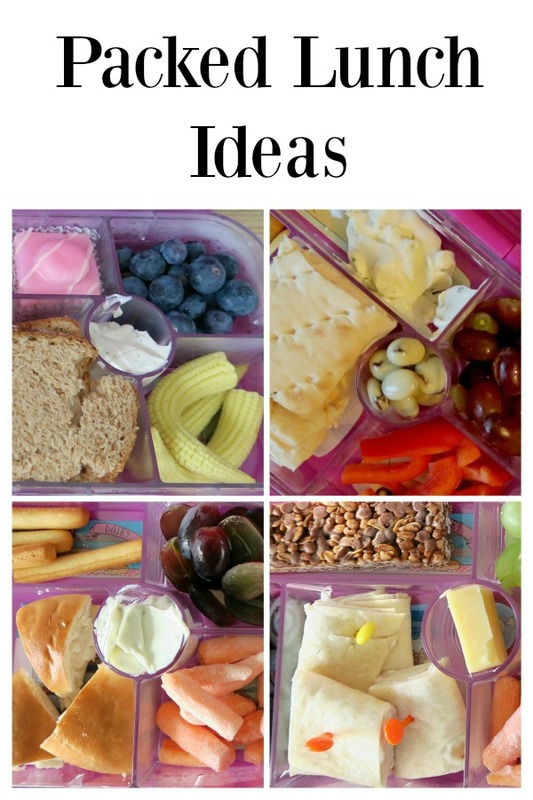 It is so easy to choose the same packed lunches, picking food you know they will eat. However I think this is a perfect opportunity to slip a few new things in their lunch, this gives them a variety of foods and maybe they will turn out to love them! 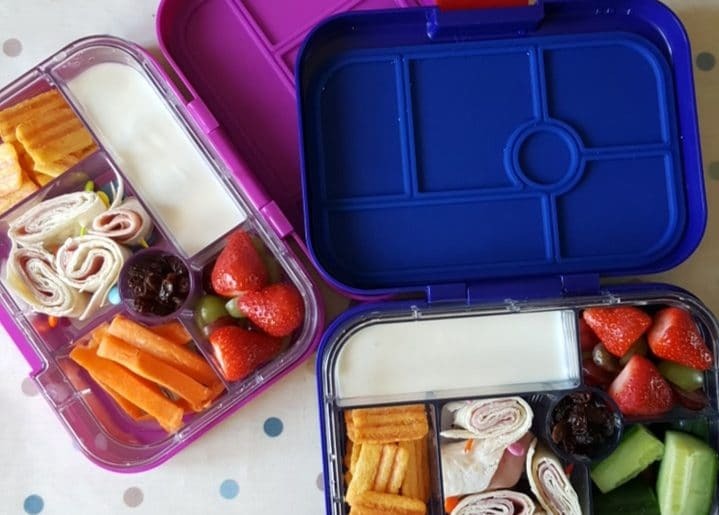 Flora have been conducting a study and taking a look at Childrens packed lunches, and the Flora study shows only 1.6% of children receive a packed lunch that meets nutritional standards set for school meals. That is really low, and it really did surprise me. 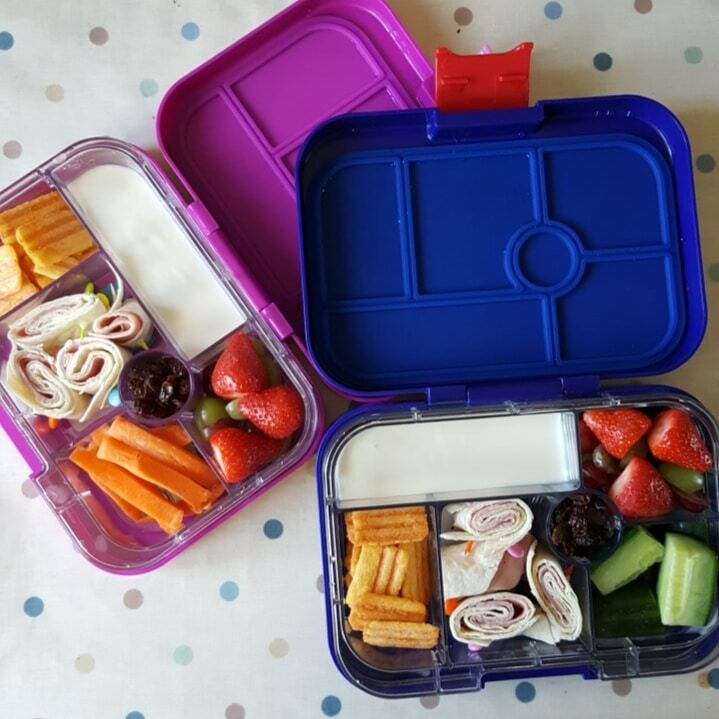 We recently purchased a new lunch box for their packed lunches, the YumBox. 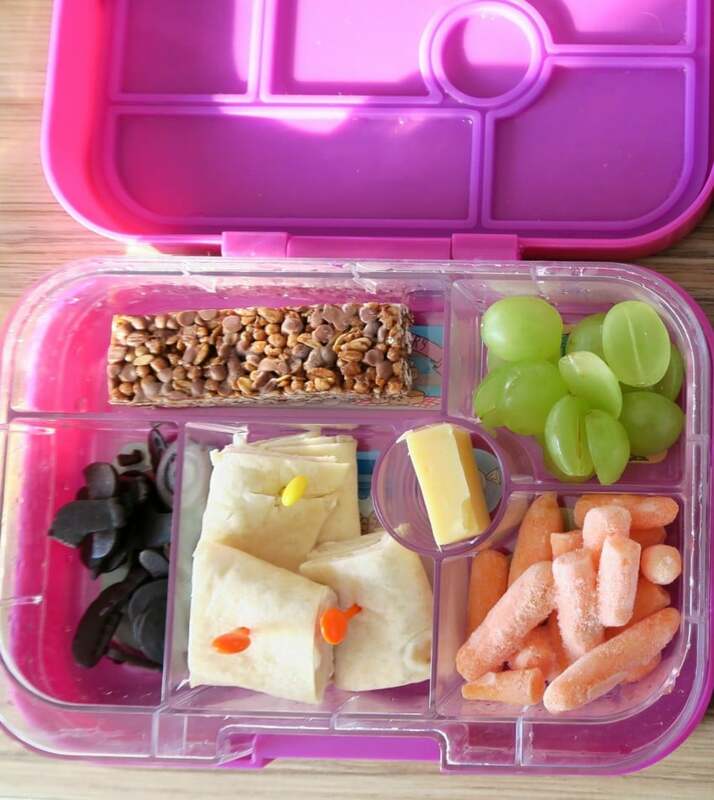 This is such a great lunch box for their packed lunches, with little sections to fill with small quantities of food. It means I can pop little tasters of food in each one. Things they can pick up with their little fingers, and because they are small quantities of food they don’t get bored. It is also better value, as I can purchase larger packets of things and spread them out over the week, or put them in the freezer to mix up what they have. Also each section has a reminder of what food group to include, protein, dairy, grains, sweet, vegetables and fruit. 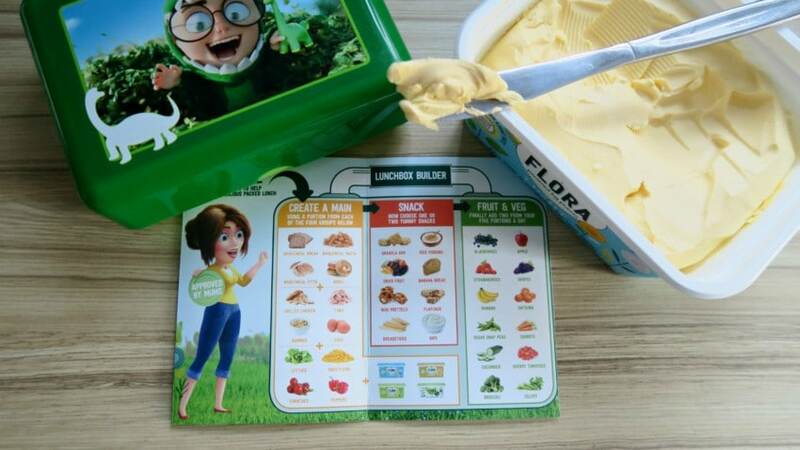 Flora have created a great meal planner and recipes for packed lunches, this was really helpful and gave me some new ideas for them. 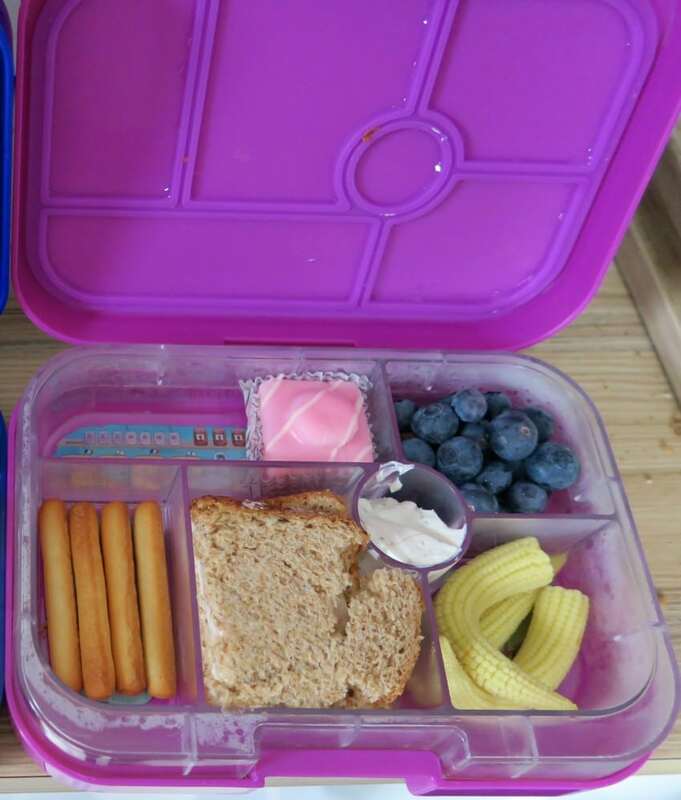 So I thought I would show you what I put my in twins packed lunches for the week, it was a 4 day week, so I have only done 4, but take a look at my previous picture for another days idea. We love Flora, and I was really pleased to hear that every Flora tub contains plant oils, such as sunflower, rapeseed and linseed oils. Flora is lower in saturated fats than butter* and provides a source of healthy Omega 3 and 6. These essential fats contribute to the maintenance of normal blood cholesterol levels and are also needed for normal growth and to support the development of children. 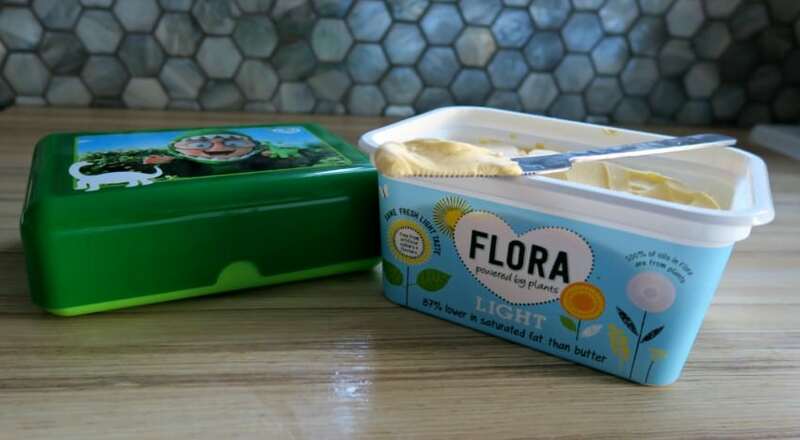 *Flora Original – 80% lower; Buttery – 71%; Light – 78%. So what ideas are you going to take from the Flora menu planner? Good to see how you got on. Commenting for myself and on behalf of BritMums and thanking you for taking part. They’ve mad such a difference to the girls lunches and how they eat. 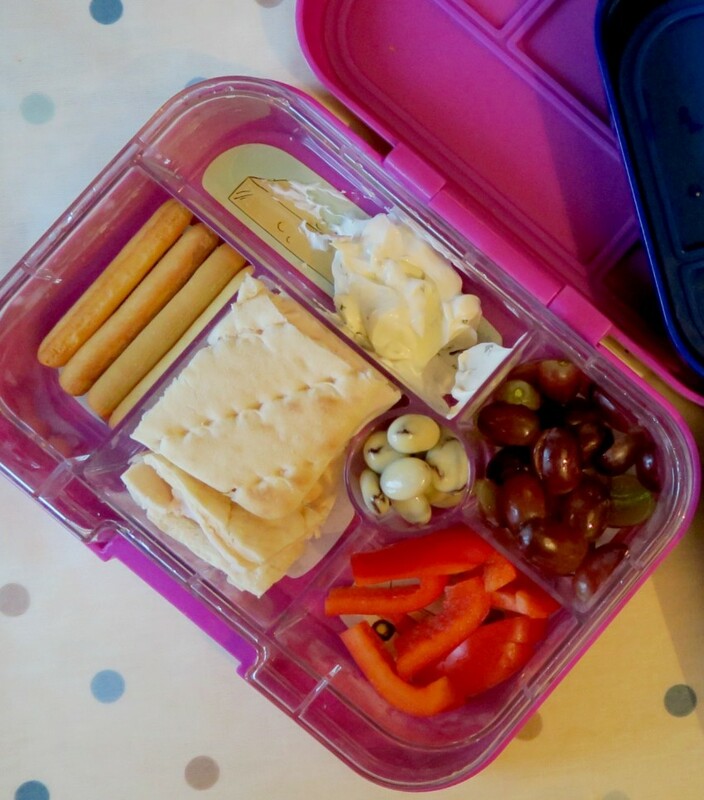 I love these YumBoxes – think they are brilliant to pack lots of different things in a lunch box. I love how organised they are!